There are very few people that are blessed with a perfectly straight set of teeth. Most of us develop one or more of the following abnormalities when our adult teeth come in: misaligned teeth, protruding teeth, crowded teeth, crooked teeth, incorrect jaw positions or jaw joint disorders. If left untreated, these dental issues can result in tooth decay, biting or chewing issues, gum disease, speech problems, headaches, earaches or jaw aches. Dentists recommend braces to most patients with these issues. Both children and adults can wear braces, but adults tend to need them on for a longer period of time. Metal braces are the most common types of braces. Modern technology, however, has introduced an innovative and inconspicuous version Invisalign. 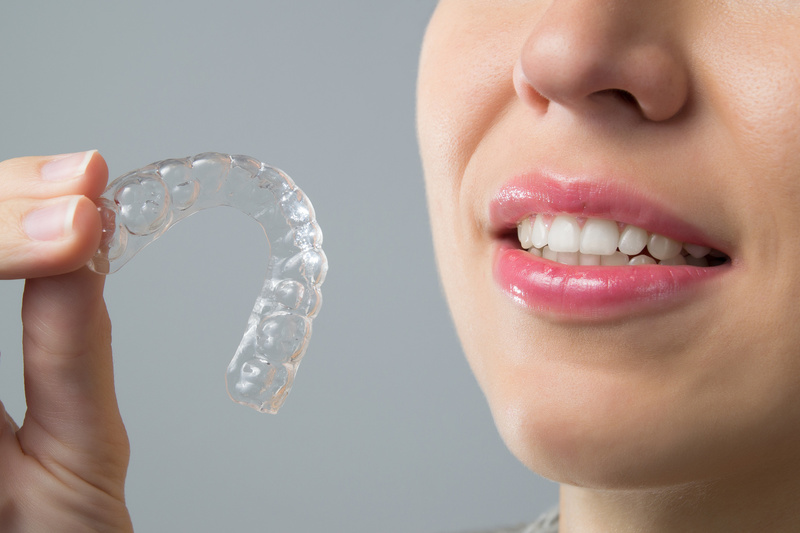 Invisalign is a low profile, clear plastic brace that is worn like a mouth guard to straighten teeth. It is designed specifically for your teeth, and is virtually invisible to others. Invisalign shifts your teeth into place gradually and gently based on the exact movements planned by your dentist. Call today to set up an appointment with Dr. James Voyles, and start your journey towards straighter teeth.